Donald Trump has won the presidential election, after running a campaign that went hard on a woman’s right to choose and also a basic understanding of human reproduction. The lizard tote bag he’s carrying with him, Mike Pence, has a terrible record of supporting anti-choice legislation as the governor of Indiana. Trump has promised to repeal the Affordable Care Act, which means there are some things you might want to get done before January. Though Trump made some remarks in September that suggest he might support prescription-less birth control, we really have no idea how this is going to shake out. 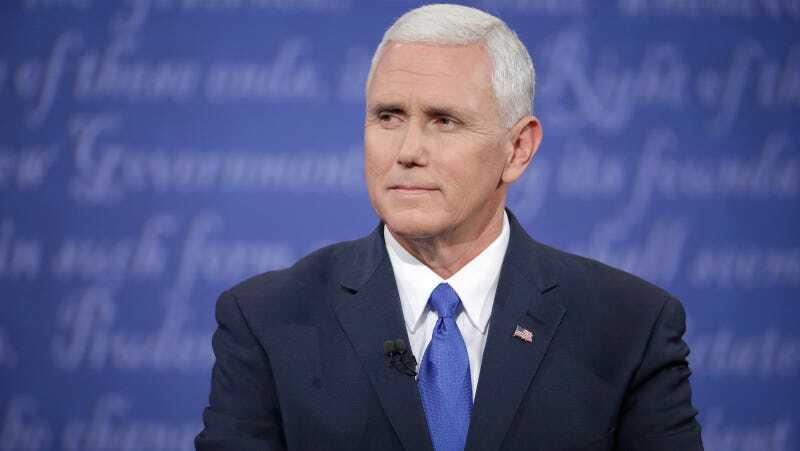 It is being suggested by some, like Erin Gloria Ryan for the Daily Beast, that it might be a good idea to go get a form of birth control that can’t be taken away from you for years, unless Pence starts going door to door yanking IUDs out of women’s bodies. An intrauterine device is covered by Obamacare, and it can prevent pregnancy for up to twelve years. After the emotional trauma of this election cycle, and its terrifying conclusion, it seems like insult to injury to go to the gyno and get a foreign object inserted in your cervix, but this is where we’re at. Though Trump has said he will “ask Congress to convene a special session so we can repeal and replace” Obamacare, birth control isn’t the only thing that may not be replaced. You also have until January to order a breast pump under your health care coverage, and that’s just one of the many services for women under threat.